Waking this day post election to the ascending era of Trump in national politics is unfortunately familiar territory for those of us in integrative health and medicine. We have our own long-standing problem of "integration" of cultures and tribes and economies. And like other such problems in the name-calling, divisive Trumpian United States, the context of the integrative health debate is often shaped as anti-science and bigotry. An example came across my desk yesterday. It was in response to a news piece at JAMA Network entitled "As Opioid Epidemic Rages, Complementary Health Approaches to Pain Gain Traction highlighted a paper published in Mayo Clinic Proceeding." Stage-setter #1: JAMA is of course a well-known, historic advocate for complementary and integrative health approaches. Not. Stage-setter #2: The focus of JAMA Network was an article published through the Mayo Clinic. Mayo of course has a long history of quickly adopting new approaches without consideration for science. Not. Stage-setter #3: The subject of the Mayo article considered in JAMA was a review from a team of five authors each of whom are scientists at the USA National Institutes of Health. This of course is another institution with a long-time disregard for science. Not. Stage-setter #4: The subject of the paper, "Evidence-Based Evaluation of Complementary Health Approaches for Pain Management in the United States," was based on an examination of 105 USA-based randomized controlled trials (RCTs). RCTs are of course rank near case reports at the bottom of the evidence hierarchy. Not. So we have aligned JAMA, Mayo Clinic, NIH and RCTs. Now that's a line-up from which one can expect shoddy science. That is the assertion in the name-calling article in response to the work of this triumvirate+ entitled "JAMA: Journal of Alternative Medicine Atrocities." Atrocities. The approach of the NIH researchers is denigrated as "ridiculous." The author asserts, on the basis of her personal experience, that despite positive outcomes in multiple studies, that yoga cannot possibly have real value for chronic pain but only for "mild discomfort." This polarizing reaction was front of mind on this day of the ascension of Trump, the science denier on climate change and evidence denier on Russian meddling via Wikileaks. I'd recently written an editorial at the Journal of Alternative and Complementary Medicine entitled "Polarization-Based Medicine: Protests Against the Mayo-NCCIH Pain Guidance Evoke the Bigotry of the Political Season." There I examined how an international set of anti-integrative health writers had already blasted the Mayo/NCCIH article. The group, from Australia, USA and Great Britain - the 3 last two named Gorski and Ernst - each used Trumpian tactics. One pre-emptively names the report as "one of the most blatant examples of quackacademic confabulation I have seen in ages." Another's label is "tooth fairy science." Like the Florida judge deemed mistrustful to Trump by his heritage, the study is questioned based on the professional background of two members of the team: "If you want to know why NCCIH supports so much pseudoscience, look no further than it having chiropractors and naturopaths in high ranking positions." Never mind that each of these NIH employees has a separate research doctorate along with a clinical doctorate. The study is then blasted for coming from the NIH National Center for Complementary and Integrative Health - once again de-faming the work based on origin rather than substance. The study is "worthless." The NIH team "actively misleading" the public. These scientists' tools apparently "exaggerations, sloppy research and misleading conclusions." The NIH scientists are ""sincerely deluded cranks." Such name-calling--and particularly the routine attributions of quackery--recall Trump's epithets placed on each of his opponents, for example "Crooked Hillary." The antagonistic columns are not entirely without merit. The NIH team's strategy for evaluation might have been tighter. A query on methods was reasonable. The practical intent of the NIH group's paperthat guided the method - to guide primary care doctors through the evidence for their own decision-making on inclusion of integrative services -- might have been called out more strongly. Polarization and separation has defined US medicine since the AMA set killing homeopathy as a goal at the organization's founding in 1848. 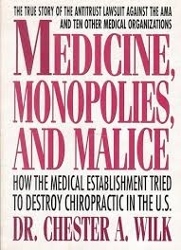 It took a 10 year lawsuit in the 1980s and a decision of a US federal court to end the AMA's formal campaign of restraint of trade against chiropractic. So what can be done? In my prior article on this topic, I shared an exemplar of the kind of respectful, honest, human exchange that could be the tone of the dialogue. The founding director of the NCCIH-funded Chiropractic Research Center and current president of Palmer West College of Chiropractic, William Meeker, DC, MPH, spoke to chiropractic not making the NIH team's list in the Mayo review. "I am surely biased," Meeker states, adding: "Yet I find it hard to understand the notion that spinal manipulation wouldn't fall into the category of 'more positive than negative results.' The preponderance of evidence argument is in manipulation's favor, unless I am interpreting the body of literature all wrong. Perhaps I am." What a difference between this honesty of this chiropractor researcher-educator and those MD-academics self-appointed as defenders of the status quo, walking into dialogue with guns blazing. A people's doctors are its educators. The teachers of problem-solving in personal medical issues embed a kind of thinking in our approaches to all kinds of issues. These professionals are agents, hopefully, of health and healing. 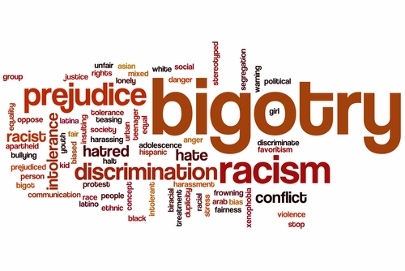 While the bigotry of the Trump campaign leaves many of us with great concern on multiple cultural, racial and economic fronts, one wonders whether we have much hope for our political dialogue and unity if we continue to be mired in such name-calling and science-denying among professionals in medicine and health. Humanly engaged, integrative health and medicine can be a beacon.